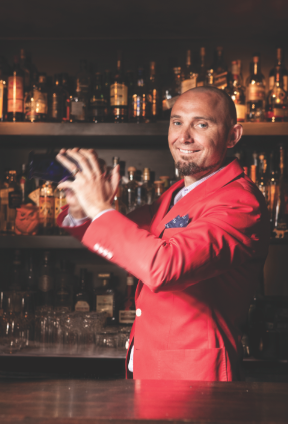 A serial entrepreneur, Sven is the owner of three award winning bars (Eau De Vie and the Roosevelt in Sydney, and Eau De Vie in Melbourne) and the founder of boutique spirits company the Experimental Spirits Co. Prior to this he spent eight years at the helm of Australia’s largest drinks industry agency, Behind Bars, which he founded with his wife in 2005. He’s also published a cocktail book: Cocktails Done the Eau De Vie Way which is representing Australia as a finalist this year’s global Gourmand Awards.